Join the next wave of Web 2.0 software development in the cloud! Cloud applications are the next big shift in application development: instead of building single-user applications to run on a personal computer, new applications are being built as multi-user services that run in data centers around the world. One of the most exciting new environments for building services in the cloud is Google's AppEngine. AppEngine is a powerful, easy-to-use framework for developing cloud-based services. 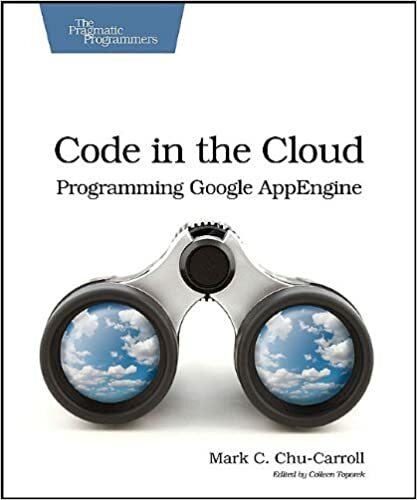 This book will teach you what you need to make the shift to cloud development using AppEngine. One of the most exciting recent changes in the computing world is cloud computing. Cloud computing is a dramatic shift in how applications are developed and used---and even in what applications are. With cloud computing, developers are no longer building applications that run on a user's desktop computer. Instead, they're building services on the network that can be used by thousands of users at the same time. Code in the Cloud will teach you what a cloud service is, and how it differs from traditional applications. It will show you how to build a cloud service, taking advantage of the services that AppEngine makes available to you, using iterative development of a simple application to guide you through the different aspects of AppEngine development, using either Python or Java. Through the process of working on a simple application, you'll learn about how to build an application as a service; how to manage persistent data using AppEngine; how to build dynamic, interactive user interfaces that run in a user's web-browser; how to manage security in a web application; and how to interact with other services running in the AppEngine cloud.